A semblance of normality returned to the fleet on Tuesday after 24 hours of chaotic action for the teams as they fought to second guess the volatile tropical storm Alberto. 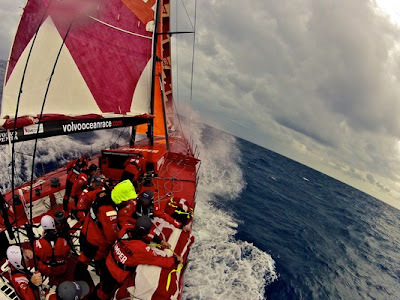 Franck Cammas’ crew on Groupama read the weather scenario to perfection at the start of Leg 7 from Miami to Lisbon, gybing away from the storm earliest before setting off on a blistering downwind ride to the east.Soon after, the skittish Alberto made a sudden move to batter the remaining five boats with several hours of strong headwinds, huge waves and lightning storms. Having at one point built a lead of nearly 70 nautical miles, this morning Groupama’s advantage was down to 22 nm, as the chasing pack, led by PUMA Ocean Racing powered by BERG, emerged bruised but unbowed from Alberto’s clutches. 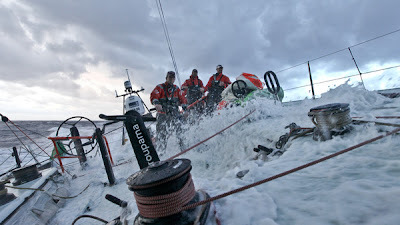 At 1300 UTC Groupama sailing team were 18 nm ahead as the leg leaders slowed in softening winds which looked likely to re-compress the fleet over the coming day.Despite closing down Groupama, Ken Read’s second placed PUMA were also having to fight to hold off Iker Martínez’s Team Telefónica, the overall race leaders, just seven nautical miles back. Four nautical miles astern and also eying up a chance to break into the top three were Abu Dhabi Ocean Racing, Chris Nicholson’s CAMPER with Emirates Team New Zealand and Mike Sanderson’s Team Sanya -- all grouped within 12 nm of each other. 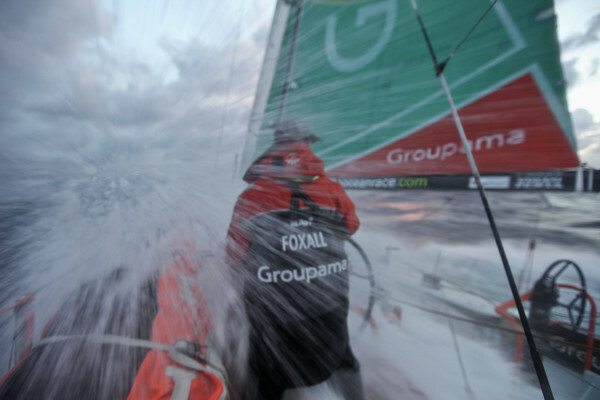 Abu Dhabi skipper Ian Walker explained how the entire fleet, minus Groupama, were caught out. “We were trying to ride the extra wind just to the south of it but a violent wind shift headed us straight into the eye of the storm," said the Briton. “There then followed a chaotic 12 hour period as we ended up on the wrong side of it beating upwind in 35 knots. All of a sudden instead of a fast ride east to the south of the storm we were right in it and in survival mode with three reefs and a heavy weather jib. 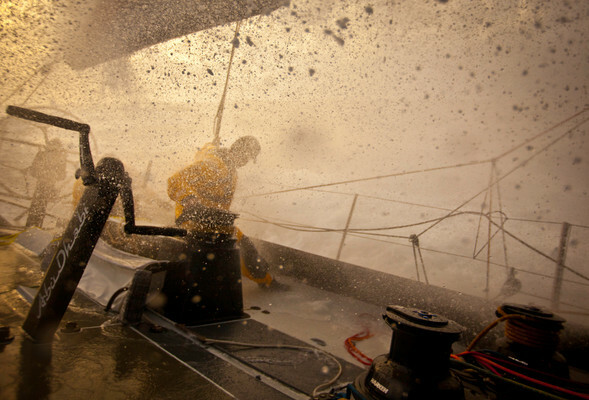 "We came off some terrible waves but most worrying of all was the lightning. crashing all around right down to the water. 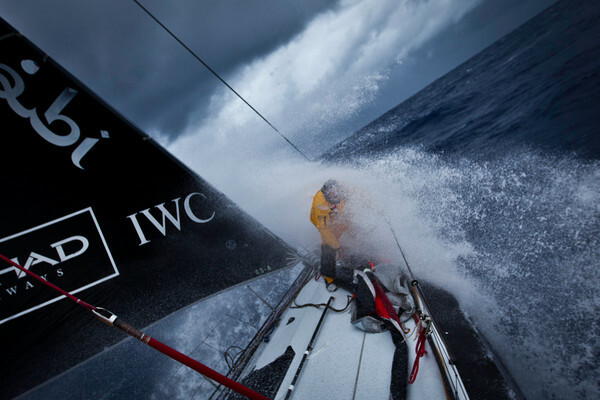 It didn’t seem possible our carbon mast could avoid a direct strike." 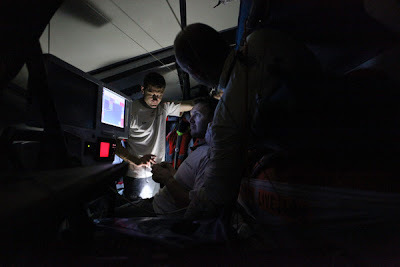 CAMPER went on to suffer most from Alberto’s effects, surviving the battering before tumbling from second to fifth after becoming trapped in light winds near the storm’s centre. 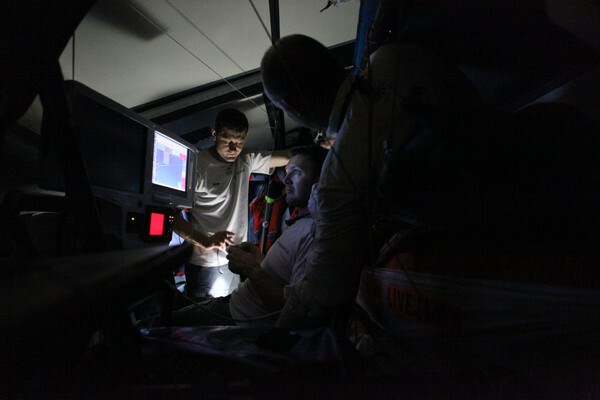 CAMPER navigator Will Oxley was similarly philosophical and said the team had already refocused on the next meteorological hurdle to be faced. 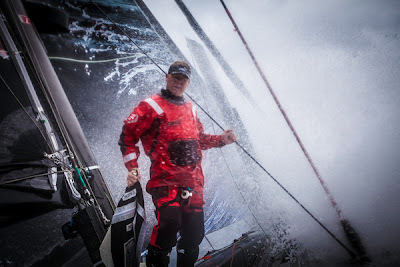 Sanya skipper Mike Sanderson described Alberto as "a pretty nasty low pressure". 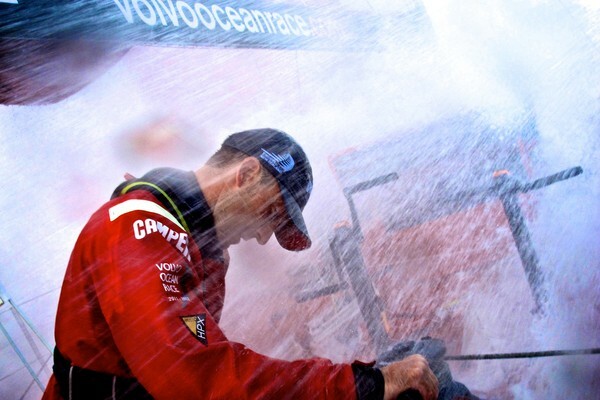 At the head of the fleet, Cammas said he was delighted with his crew’s performance since leaving Miami. However, Cammas said Groupama’s jump on the fleet was likely to continue to be eroded as they encountered a light air zone over the next 24 hours.The weather forecast for the next hours indicates the wind is dropping a lot,” he said. 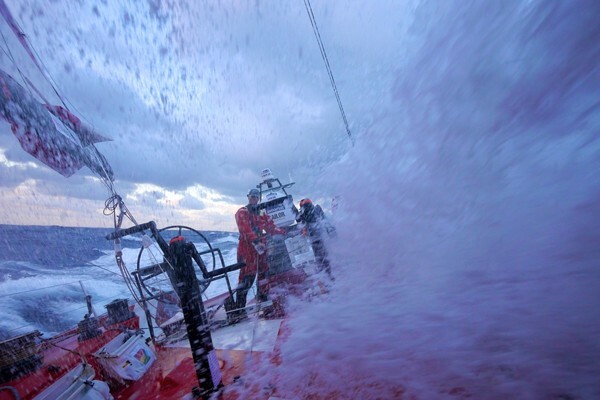 “We hope that it won’t be a total calm as the ones behind still have good wind and are coming back on us. “The fleet will compress for sure, unfortunately,” he added. Just 14 points separate the leading four teams in the overall standings with three offshore legs to complete. 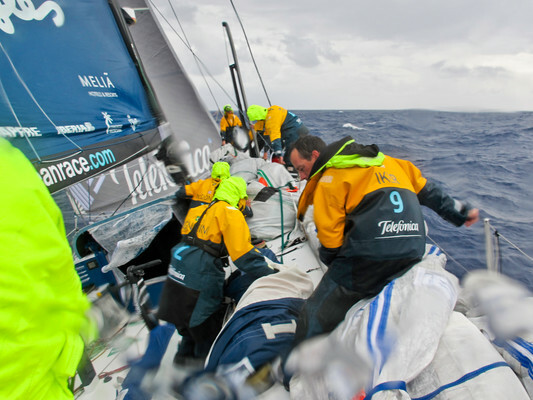 Telefónica have 165 points, followed by Groupama on 158, CAMPER on 152 and PUMA on 151.